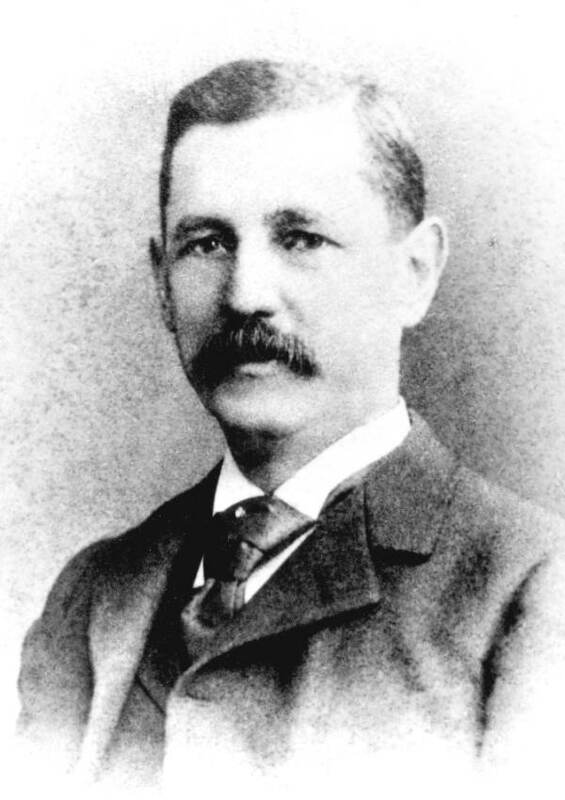 Hamilton Disston (1844-1896) purchased an incredible four million acres of Florida land in 1881. His companies were engaged in land development, canal dredging, sugar plantations, and efforts to drain the Everglades to create agricultural real estate in South Florida. The Disston Purchase and his development endeavors led to a land boom in the 1880s and established towns such as Kissimmee, Tarpon Springs, and St. Cloud. Many of his operations focused around Lake Okeechobee and the Kissimmee River. His companies spent more than ten years working to complete his plans, but he ultimately failed to drain the land and ended up selling much of his investments. His accomplishments, however, paved the way for Henry Flagler's southward expansion of his railroad and hotel empire, and his dream to drain the Everglades was taken up by prominent Florida politicians with support from Flagler, James Ingraham and other powerful interests in the state. While in Fort Myers, Alonzo Church relates how Expedition members were in the Hendry House hotel and spoke to a group of men who had been employed by Disston in drainage efforts. Other than this one reference, there are no other instances in the texts where Disston is mentioned directly. Links below open in a new browser window. For other topics referenced in the Expedition texts, please refer to the Index to Subjects and Names.